Encountering Poverty challenges mainstream frameworks of global poverty by going beyond the claims that poverty is a problem that can be solved through economic resources or technological interventions. 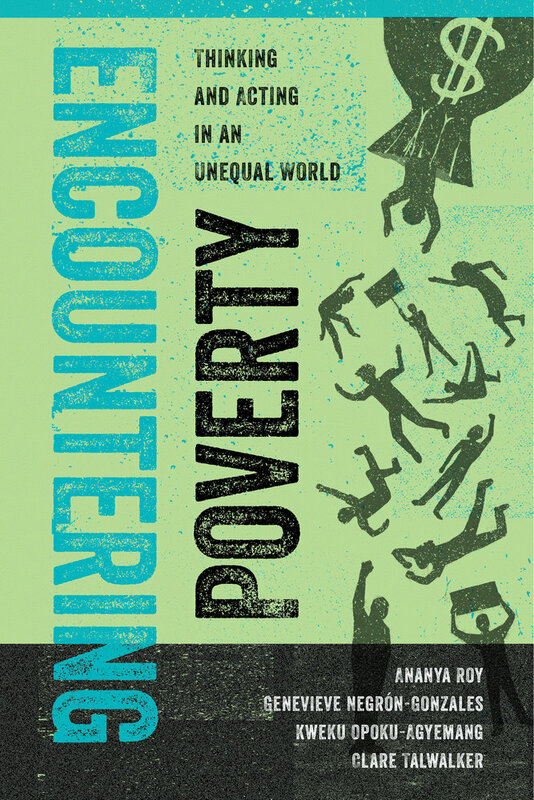 By focusing on the power and privilege that underpin persistent impoverishment and using tools of critical analysis and pedagogy, the authors explore the opportunities for and limits of poverty action in the current moment. Encountering Poverty invites students, educators, activists, and development professionals to think about and act against inequality by foregrounding, rather than sidestepping, the long history of development and the ethical dilemmas of poverty action today. Ananya Roy is Professor of Urban Planning and Social Welfare at the University of California, Los Angeles, and Director of the Institute on Inequality and Democracy at UCLA Luskin. Genevieve Negrón-Gonzales is Assistant Professor of Education at the University of San Francisco. Kweku Opoku-Agyemang is Global Poverty and Practice Postdoctoral Fellow at the University of California, Berkeley. Clare Talwalker is Lecturer in International and Area Studies and Vice Chair of Global Poverty and Practice at the University of California, Berkeley.